We offer you a free opportunity to benefit from the many years of accumulated knowledge of our employees. By using this website and our contact data, you can easily make an appointment with us in our Renex Centre and take advantage of our consulting engineers and professionals dealing with our products as well as see great potential of our Company. Our RENEX specialists provide professional assistance to all those who intend to utilize our products in their applications. Our sole aim is to provide expert advice and proper identification of needs of your Company. We will be pleased to welcome you to our Headquarters. Thanks to the knowledge of our technical-sales advisors we can indicate new opportunities and solve a number of problems. IPC training in the comfortable, functionally equipped Training Centre or at your location. 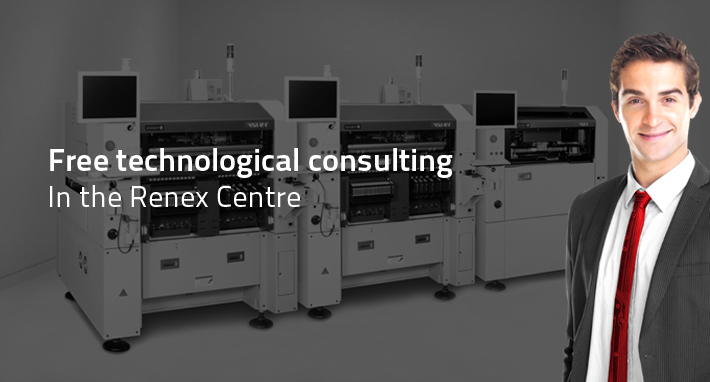 How to make an appointment at the Technology Centre of RENEX? Please fill out the below form. Service of the Technology Centre will contact you within 24 hours.